Contrary to the opinion of certain experts, an antivirus (AV) program is not quite dead. A traditional AV program does provide some level of protection to the digital economy. However, it is not full-fledged protection. In order to know the limitations of traditional antivirus programs, we must first get to know Antivirus technology – how it functions. These AV programs prevent “known” malware from infecting the system. Antivirus software companies build a database of malicious programs and files and store their definitions in a repository. Whenever new malware is discovered the AV companies add a definition of the malware to their virus definition database and roll this out to user computer systems and devices as definition updates. When the system encounters a new file it checks whether the file is malicious. For this, it compares the definition of the new file with the existing virus database. Most antivirus software providers regularly update the virus definitions. However, it is cyber criminals with limited capabilities that use such existing malware for attacks. Present day security threats have undergone a massive change, and they definitely threaten PC security. The recent deadly malware attacks are being unleashed through zero-day exploits. Cyber criminals identify and exploit vulnerabilities in the system. When they conduct the attack through such new malware files, traditional AV programs will let them through and the system will get infected. This is just a limitation. Advanced antivirus programs also include firewall, auto-sandboxing, white-listing, containment and containerization to provide complete PC protection. Not all AV programs have these features that are capable of blocking zero-day exploits. These are the need of the day. The Digital Economy has many, many advantages and will be the driving force behind the total economy. Many organizations now allow and function better through the adoption of mobile devices – smartphones, tablets, laptops, etc.., Some have also adopted BYOD. 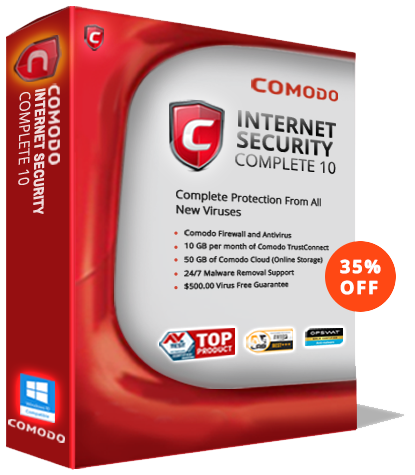 This has increased the necessity of robust security software for complete PC protection and mobile device protection. Even at home, it is not only the home PC that needs protection. It is also the mobile devices – smartphones, tablets, laptops, and IoT devices that are connected to the home network and systems. Though the threat of advanced malware such as ransomware and cryptolockers through zero-day exploits threaten digital security, the security of PCs and other devices can be ensured. Appropriate web security measures through the implementation of advanced AV security programs would thwart ransomware and other malware attacks.